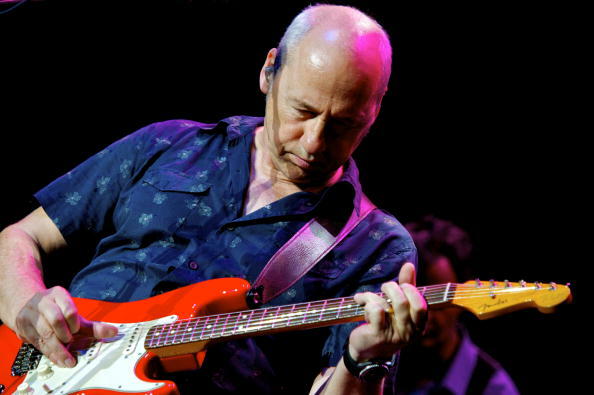 Mark Knopfler is the true journeyman. From the early '80s 'Going Home' and 'The Long Road' songs to his sojourner albums like 'Last Exit to Brooklyn', 'Sailing to Philadephia', 'Privateering', 'All The Roadrunning' and 'Tracker', one thing is crystal clear - Knopfler is well-traveled and shows no signs of slowing down. And, if that doesn't cement it, his latest musical offering 'Down The Road Wherever', the guitarist and singer-songwriter's ninth solo studio album, seals the deal on the voyager's passion for songs on the road. Due for release November 16 on Knopfler’s own British Grove Records via Blue Note, the album features 14 new songs inspired by a range of stories he tells in each track - from his early days in Deptford with the erstwhile Dire Straits, a stray soccer fan lost in a strange town to the compulsion of a musician hitching home through the snow and a man out of time in his local greasy spoon diner. Spanning a timeline that goes decades down the road, the album celebrates his allegience to country and folk, but also raises a toast to his British rock days with Dire Straits while dabbling generously in dreamy infusions of jazz and slow ballads. The mood change is very distinctive. Those who've followed the guitar legend for years will find that although 'Down The Road Wherever' stays true to his strong folk and roots-inflected solo ambience, the record introduces new elements of jazz, funk and even a hint of the rockier leanings of earlier days. In fact, it was in 'Tracker', the four-time Grammy Award winning artiste's previous album in 2015, that his new friendships also began to unravel musically on his tracks, especially with saxophone cameos by Nigel Hitchcock. The English jazz musician returns to team up with Knopfler's now-regular ensemble, including Jim Cox and Guy Fletcher on keyboards, Tom Walsh on trumpet, John McCusker on fiddle, Mike McGoldrick on whistle and flute, Glenn Worf on bass, Ian ‘Ianto’ Thomas on drums and Danny Cummings on percussion. Richard Bennett and Robbie McIntosh also feature on guitar, Trevor Mires adds some trombone notes while Imelda May, Kris Drever, Lance Ellington, Beverley Skeete and Katie Kissoon all add backing vocals. Every song is a journey and is in no hurry to tell its story. So, a listen to 'Down The Road Wherever' is one that cannot be rushed. The leading track 'Trapper Man' establishes that. Although the beat kicks in soon enough to the rhythm-driven song launching the album to a groovy start, the song actually sets the tone for some neatly-distributed surprises along the tracklist. 'Back On The Dance Floor' brings the ride back within the speed limit. A track with a name like that, and you'd be surprised at how it churns out. Slowing down to a laidback mellow pace, the trippy song offers an 80s club vibe that makes for a steady drivethrough listen. Tipping his hat to more meandering grooves in 'Just A Boy Away From Home', Knopfler tells a neat narrative of dreamy young days in the keys-heavy composition. All songs in the album are written by Knopfler except 'Just A Boy Away From Home' on which he shares writing credits with Rodgers and Hammerstein. He cleverly uses a piece of ‘You’ll Never Walk Alone’ to spin the song’s tale of a lone Liverpool F.C. fan wandering the empty streets of Newcastle after midnight. It's a quick U-turn in 'When You Leave', where the baritone singer takes a moment to show his exemplerary vocal skills in the balladesque romantic song. Vividly simple and sparse in its soundscape, the sax lead in the middle exudes nuances of a bright jazz ballad. 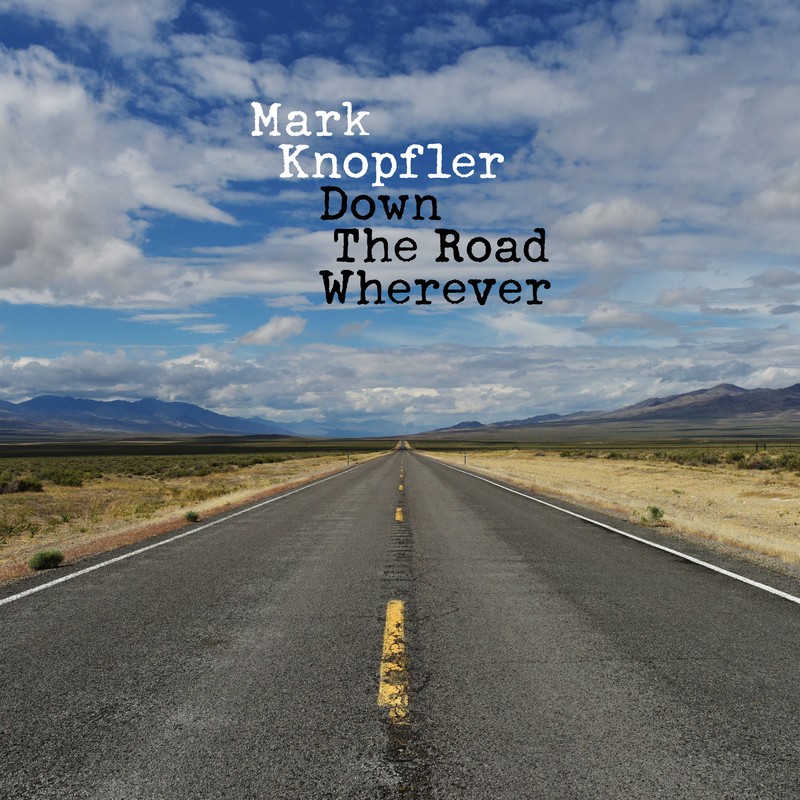 'Good On You Son', the single Knopfler launched as a teaser to the album, sees the veteran musician return to the road, this time on a bike (from the music video that he released accompanying the song). A veteran singing from experience, the conviction to lead by example is evident with the surity in his voice. The rhythmic off-the-road sonic rampage of sax, drums and guitars, only accentuates the message - wise words from the wizened roadster in this one as he asks: "You wanna know what happiness is?" There's background noise in 'My Bacon Roll' as a steady string note repeats on loop. The clutter of people, dishes and food, lingers long after the song moves on to a steady swing. "'Scuse me, 'scuse me. Have you got my roll? my roll? My bacon roll," you hear in the chorus line. You'd think there's more to the song, but no, Knopfler jests us with his funny side on this heavy on food track, like the ones you get in a drivethrough fast food joint - a quick toastie or a roll. A real fun listen from the man who loves his tea between songs at his live gigs. And, if that doesn't make you want to hit the road and drive past endless fields through long, winding highways and into the sunset, 'Nobody Does That' will make you do just that! The beats drop heavier and the trumpets blaze boldly. The music gets "too hot" as it builds. "Nobody Does That", Knopfler affirms in the chorus but he certainly does a number in this eclectic piece. A marvellous brass segment opens up in mid-section, synth keys follow, the guitars dive in and the band just plain loses it on this roller-coaster treat. 'Drover's Road' will surprise you. Switching gears to an anthemic Western, the song reminds you of cowboys riding off into the sunset. "He likes to find his own way home," confirms Knopfler as he sings before letting his guitar unleash a haunting riff that will stay with you long after the song is over. The song that started it all follows. 'Down the road wherever' is a line from 'One Song at a Time,' which was inspired by wise words from his friend and guitar legend Chet Atkins. 'One Song At A Time' is nostalgic as Knopfler croons: "I'm picking my way outta here, one song at a time." The track is another getaway song, but from a much earlier era. The trip slows down to an unplugged 'Floating Away' with the background voices seamlessly blending with the simple acoustic guitar tones. 'Slow Leaner' is a piano-driven story set in a relaxed behind-the-wheel tune. "I like good things to last. I'm taking it slow," sings Knopfler. This slow-burner is his 'Hakuna Matata'. The album nears the end of its destination as it meanders to a jive-infused, sax-laced track 'Heavy Up'. You can notice the excitement in Knopfler's guitar as he leads the playful song.